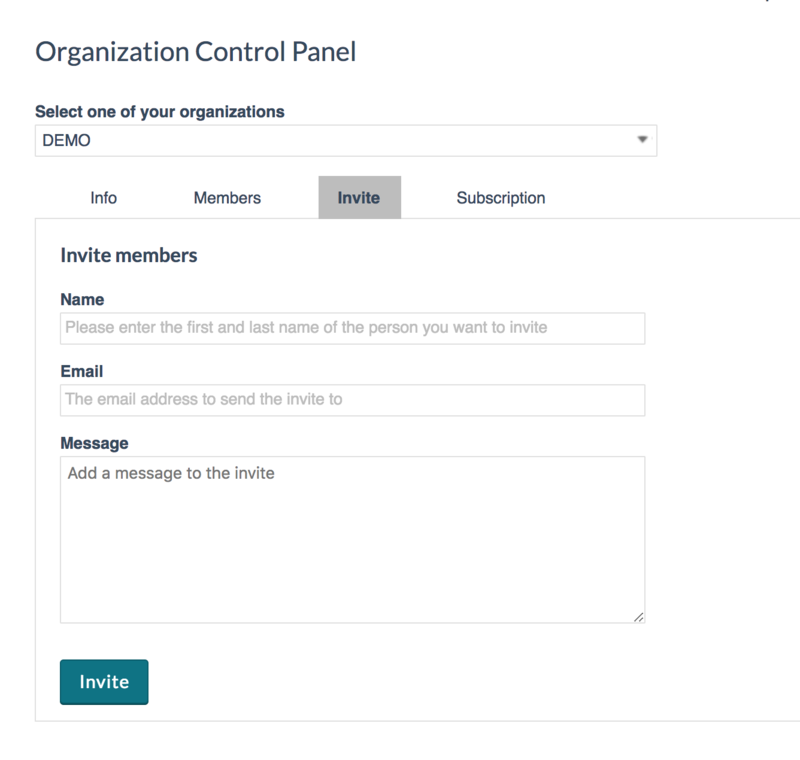 All Organizations that sign up with us, get their own control panel, and an organization specific page. 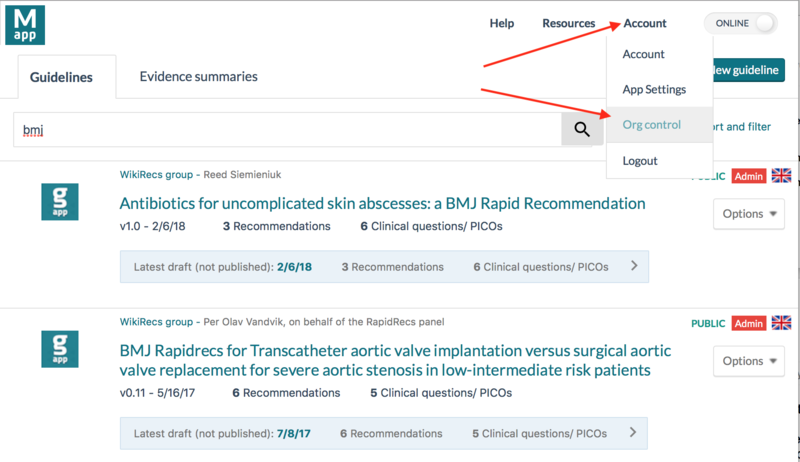 To create and publish guidelines in the name of an organization, as well as editing in the organization control panel you need to become admin of your Organization. 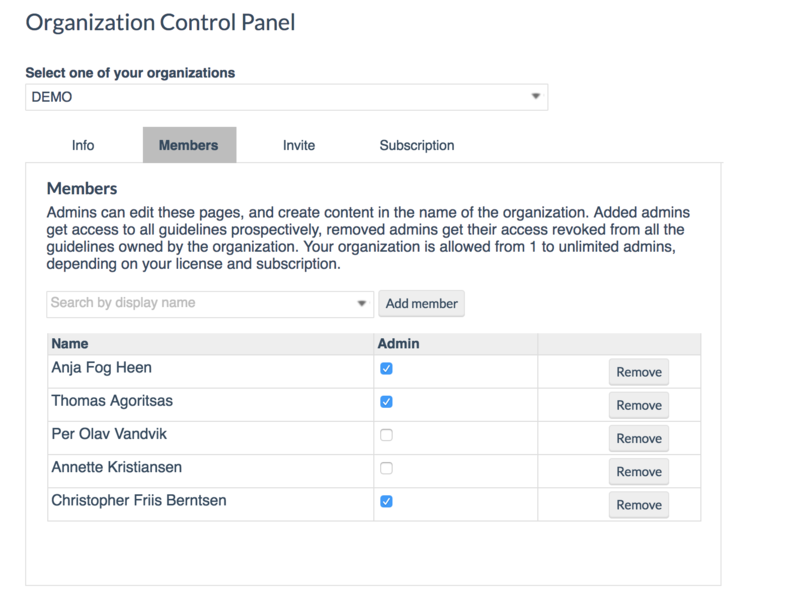 For this to happen, you need one of the other admins to assign you as admin in your organization's control panel, or have MAGIC personell help you set it up if there aren't any admins yet. 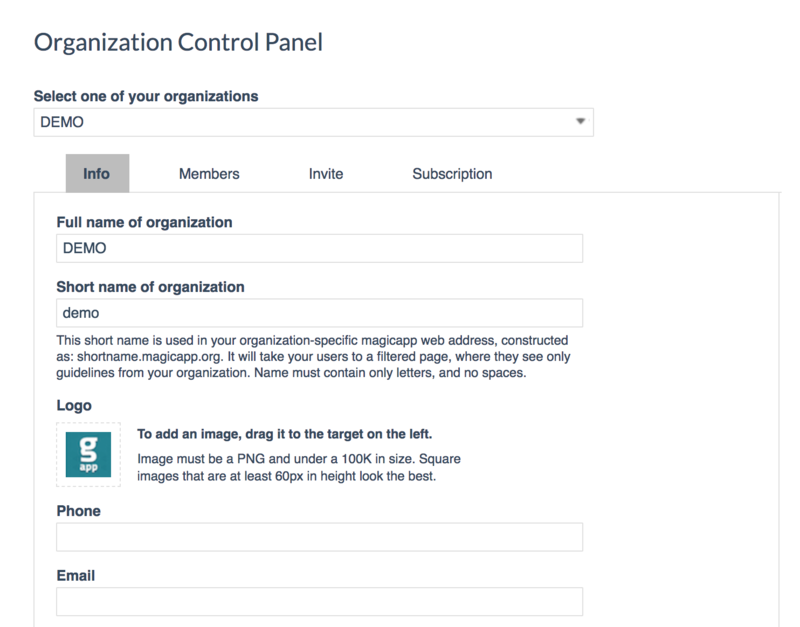 When you have access to the control panel you can alter the organization name, logo, contact info and short name. You can add new members and admins, and you can send invites to make people sign on. Info: Edit and add organization name, logo, contact info and short name. Invite: you can send invites to make people sign on.